The Durham BullHouse mixed-use project is one of a cluster of developments that is enhancing the downtown Durham landscape along the Durham Freeway corridor. 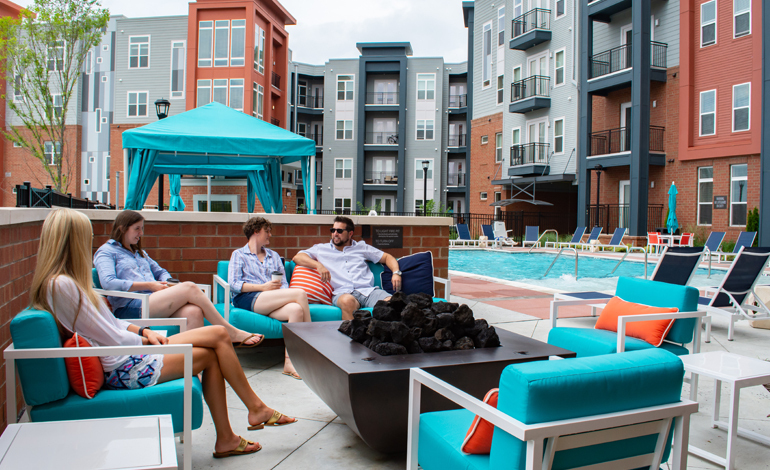 McAdams provided landscape architecture, engineering and environmental services for the 305-unit, low-rise apartment community and streetscape along Dillard and Pettigrew Streets in downtown Durham. The streetscape featured decorative paving, stepped retaining walls to resolve steep grade changes, decorative fencing and columns, an outdoor courtyard, enhanced planting areas and tree pits and with structural soil and root paths to achieve healthy tree growth and reduce maintenance. 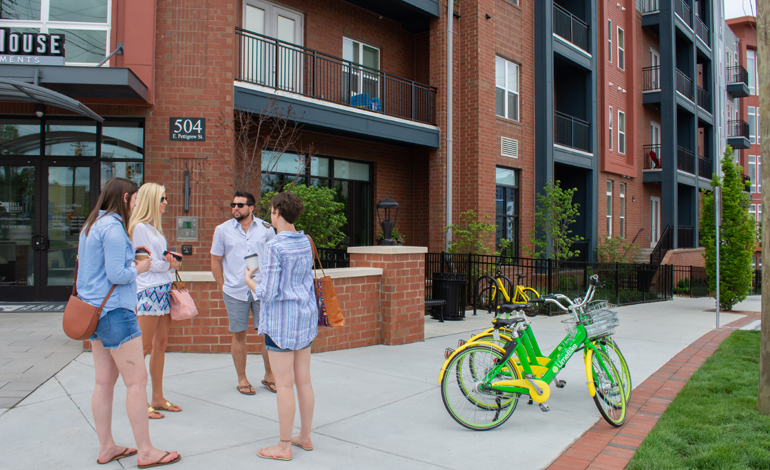 The design successfully implemented the connectivity and aesthetic goals of Durham’s Downtown Design district and integrates with the historical Veneble center. The site was also a former automotive repair and sales facility. Associated environmental issues were managed under the North Carolina Brownfields Program to make the site safe for reuse. This included the collection of Phase II assessment data to support the land development design process. McAdams also prepared an Environmental Management Plan to develop procedures to cost-effectively manage impacted soil and water during site construction. The McAdams multi-service integrated design approach led to the successful redevelopment of this project. McAdams is also providing the same integrated design approach of other nearby projects that will continue to enhance the Downtown Durham skyline.